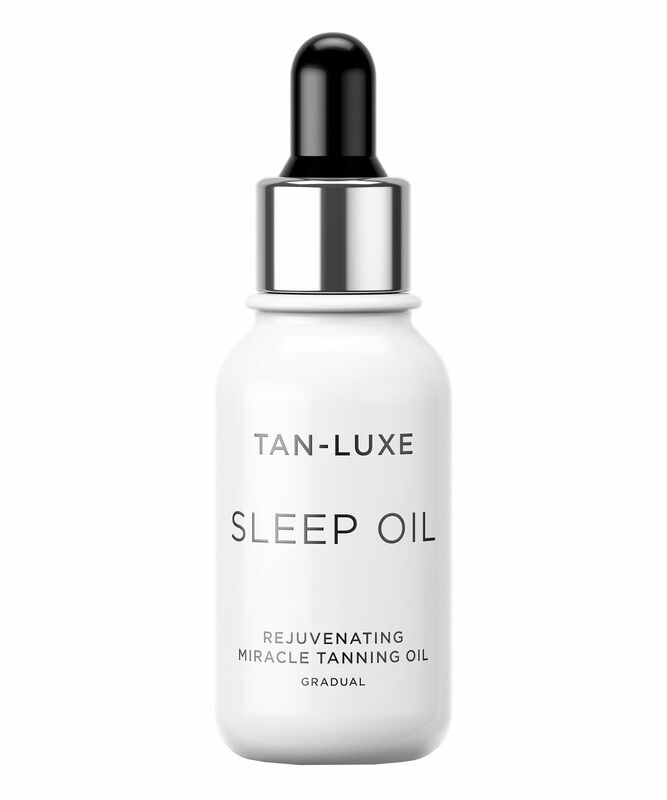 Thanks to this luxurious elixir, you can achieve seamless self-tanning in your sleep and wake up to a plumped, youthful-looking complexion, complete with an even layer of subtle, sun-kissed glow. Enriched with raspberry seed oil, vitamin E and aloe vera to nourish and condition skin, the organic tanning actives work with your skin tone to deliver natural-looking colour. The ultimate in effortless tanning, TAN-LUXE’s Sleep Oil sets to work while you catch some Zzzs, so that you can wake up to the subtle, sun-kissed glow you’ve been dreaming of. Enriched with raspberry seed oil, vitamin E and aloe vera, every droplet of this miracle formula bronzes, boosts and fortifies skin’s fabric, so that skin looks youthful and conditioned, as well as golden. Like a sun-drenched holiday in a bottle (without any of the skin-damaging rays), it delivers even, luminous colour that couldn’t be easier to achieve. No smell. No streaks. No drama. Just snooze, glow and go. I absolutely adore Tan-Luxe products and this one is no exception. Apply the oil directly on your face and then use your fingertips to apply the product, this will ensure that your palms will not soak up the oil. You’ll wake up looking fresh and glowing. I love it. I'm a tan enthusiast and have tanning Thursdays in my house to prep for every weekend. So my tanning routine - after years of trial and error - is now perfect for me. I was so excited to try this oil and it's the first time trying a product from this brand. Ingredients impressed me and the packaging is super cute. But really, I was left disappointed. You don't get much product considering the price and the glow was nothing to run home about. It gathered on the bridge of my nose and brows, too. The oil experience was lovely and it felt nice on the skin. But it really just gave me the same orangey coloured tan that I get from much cheaper products. So it's a no from me I'm afraid. The two stars are for the feel of the product, I did feel it was moisturising.